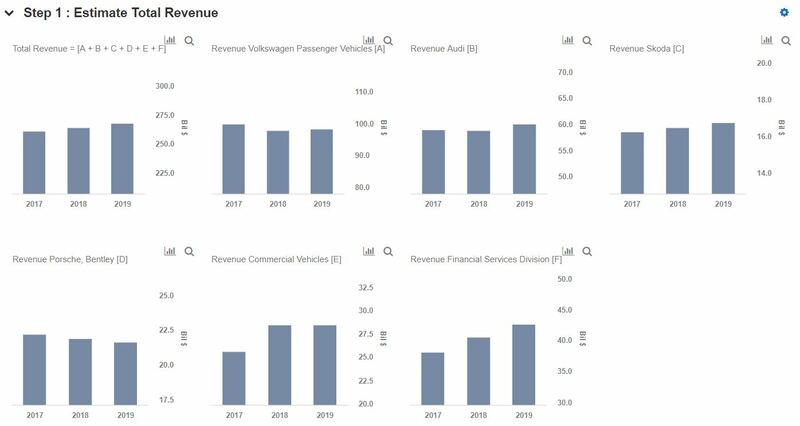 Will Volkswagen AG Continue The Positive Growth In 2019? How Will Volkswagen’s Strategy 2025 Impact Its Value In The Near Term? What Will Drive Volkswagen’s Value In The Near Term? Can Volkswagen Be A “Winner” In The Electric Vehicles Segment? Will Volkswagen’s Growth Continue In Quarter 4? Volkswagen AG (OTCMKTS: VWAGY) will release its annual results for the fiscal year 2018 on March 12, 2019 early morning. The annual media conference will be held at 9am CET. The market expects the company to post revenues of around €237 billion ($270 billion) and earnings of approximately €24 ($27.30). The company has succeeded in delivering better results post the emission scandal which cost them more than $34 billion. We have a price estimate of $17 per share for the company, which is in line with the market price. View our interactive dashboard – Our Outlook For Volkswagen in FY 2019 – and modify the key assumptions/expectations to arrive at a price estimate of your own. In addition, here is more Consumer Discretionary data. The company expects the global economy to record slightly weaker growth in 2018 due to protectionist tendencies, turbulence in the financial markets, and structural deficits in individual countries and geopolitical tensions. They expect the full-year deliveries in 2018 to go slightly above year on year, and expects a 5% growth year on year in sales revenue and other business areas. The company for the segment of passenger cars faced headwinds due to changeover to the Worldwide Harmonised Light Vehicle Test Procedure (WLTP) emission standards, exchange rate effects, and upfront expenditures for implementation of electric mobility and the emission issue cost. But there is an improvement in vehicle sales volume and the revenue has increased by 7.3% year on year. Audi (including Lamborghini and Ducati brands) has marginally increased in the first nine months, and we expect the segment to close the year in a similar fashion. The company sustained declining profits in Skoda due to cost optimization and improved price positioning, but the margins were pulled down by exchange rate and product mix. Further, the company posted losses in Bentley’s operating profit for the first nine months, largely due to delays in the start-up of new continental GT and associated costs. Also, Volkswagen’s commercial vehicles’ profits declined by 10% in the first nine months, outlining the challenges by WLTP and the unfavorable exchange rate. Porsche was one of silver linings with higher revenue and operating margins from its better sales volume and positive product mix. Additionally, Volkswagen’s financial services profit climbed by 8.6% to approximately $2.2 billion in the first nine months of 2018, exhibiting a higher business growth potential in this division. Overall, Volkswagen had a good year, after the emission scandal. The company has done quite well in a few segments. We expect Volkswagen to continue the same trend in all segments of the 4th quarter of the fiscal year 2018, too.